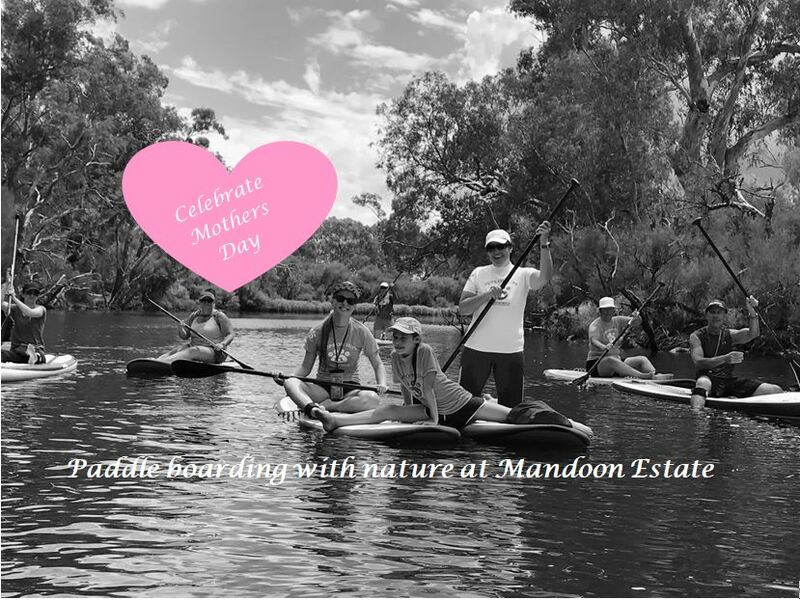 Celebrate Mothers Day supping from the beautiful Mandoon Estate, Caversham. We’ll take you on a 1 hour leisurely paddle along the upper reaches of the Swan River and afterwards you can simply relax in the picturesque grounds of the estate. Book in for breakfast prior to the paddle tour or finish with lunch on the lawn or homestead. Check out the arts and crafts gallery, gourmet delicatessen, boutique beers & wines and live music. Refer to the links below for further booking information. Please note the homestead is booking quickly so get in quick. Cost: $55.00 for 60 minute SUP tour including a rewards card for future SUP discounts. Booking Essential. Please register via suptonic@gmail.com to secure your spot and for payment details or contact Maree on 0499 973 995. Launching from Mandoon Estate Jetty at 10.00 am sharp. 10 Harris Rd, Caversham WA 6055. All paddling equipment provided. Water proof pouches and rashies can be purchased before the tour on site if required. Please arrive at least 15 minutes early to allow for parking and orientation. Paddling experience is required for this tour. No alcohol consumption is permitted prior or during the paddle tour. Please make arrangements to be collected if you intend to enjoy a drink or two. Bring change of clothes and towel…just in case. This tour may be cancelled if weather conditions are unsuitable. A refund will be given or credit will be applied for the next tour.